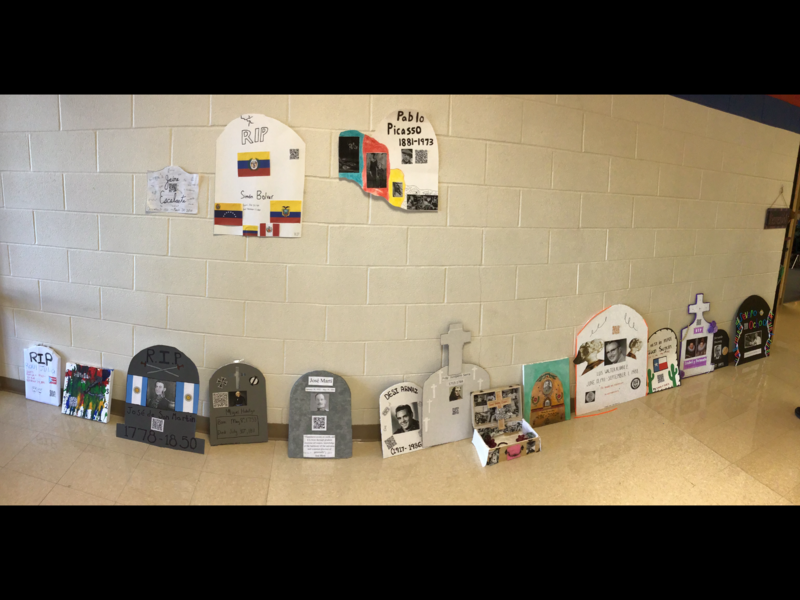 The MHS LOTE (Languages other than English) Department orchestrated a cross-language hall display for Dia de los Muertos that you just have to see! 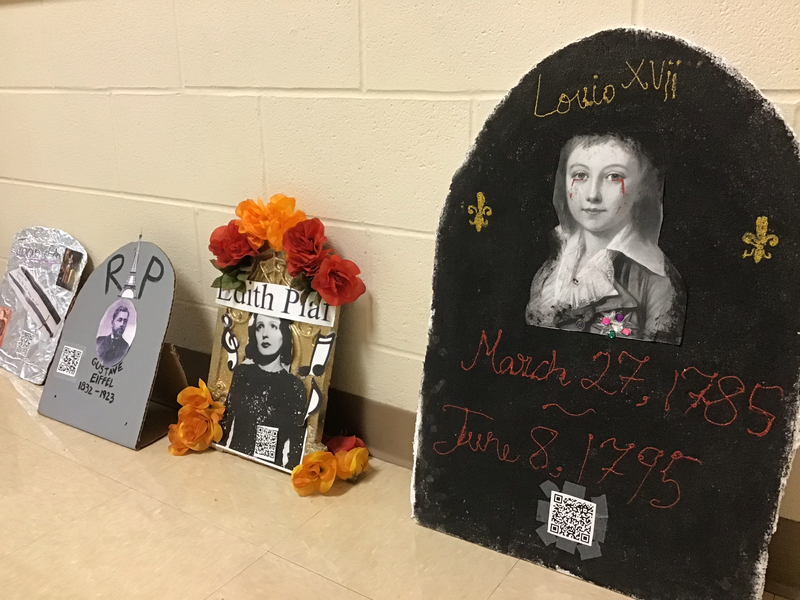 Students researched a significant person from the language they are studying, and produced a video biography using their iPad and an app of their choice. 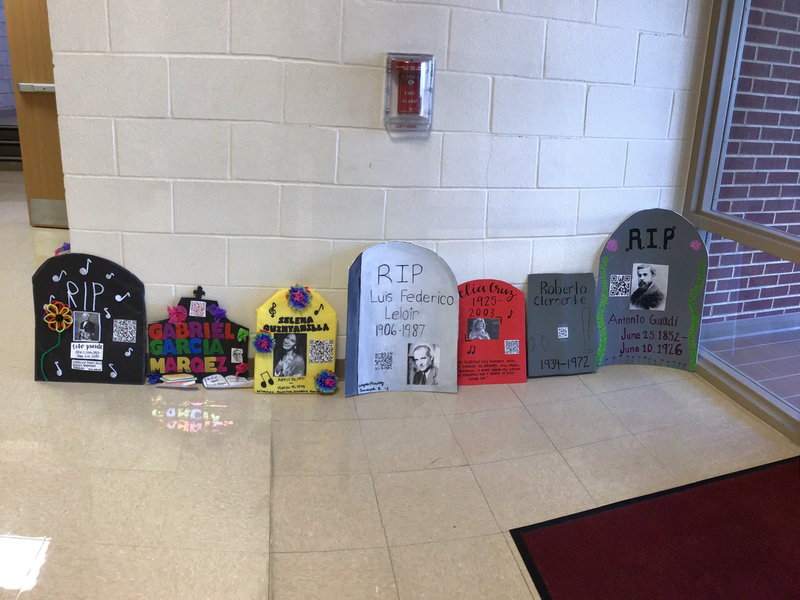 Finally, the students created a tombstone which included a QR code that linked to the video biography. On November 1st, the German, French, and Spanish classes spent the day experiencing an international graveyard tour. 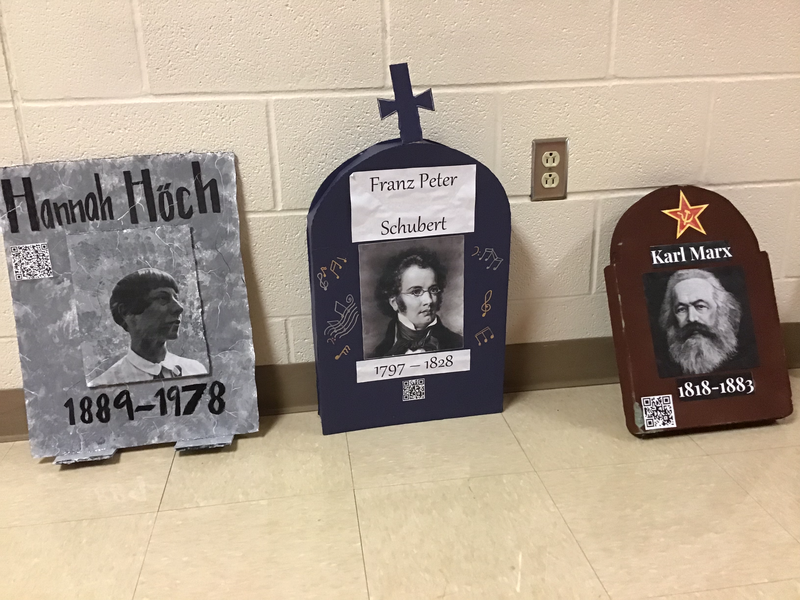 They picked 4 tombstones to explore while giving feedback to the teacher using a Google doc. This project allowed the students to show off their creativity & critical thinking skills in multiple ways.